Karachi: Doubts over Pakistan's participation in the Hockey World Cup have finally been cleared after the owner of a cricket franchise came on board as a sponsor to bail out the cash-strapped national federation. Pakistan Hockey Federation (PHF) secretary Shahbaz Ahmed informed that Pakistan Super League (PSL) franchise, Peshawar Zalmi owner Javed Afridi has signed a major sponsorship deal with the PHF which will run till 2020. The sponsorship deal will cover all international tours of senior and junior national teams as well as domestic hockey. "It is a big relief for us. Javed Afridi, who owns the Peshawar Zalmi franchise has signed the sponsorship deal to uplift Pakistan hockey on behalf of his company, Haier Pakistan," Shahbaz said. "Pakistan team is going to India for the World Cup," he added. Shahbaz, however, refused to disclose the sponsorship amount. The Hockey World Cup will be played in Bhubaneswar from November 28 to December 16. The PHF had earlier warned that if the government didn't give a grant of 80 million rupees it would jeopardise Pakistan's participation in the World Cup. The Imran Khan-led government had until Sunday not released any grant despite hockey being the national game of Pakistan. "Now we are just waiting for the visas of our players and officials," the PHF secretary said. The PHF had also sought a loan from the country's cricket board, but the PCB had outrightly turned down the request. 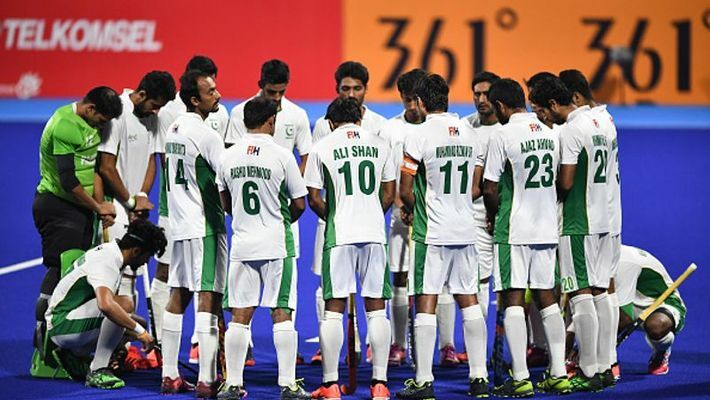 Shabaz said due to the just-inked sponsorship deal, the PHF would not only be able to send the team to India but also clear the outstanding dues of the players, who have not been paid daily allowances for the recent Asian Champions Trophy and camps. The last time Pakistan played in Bhubaneswar it qualified for the final of the Champions Trophy in December, 2014.